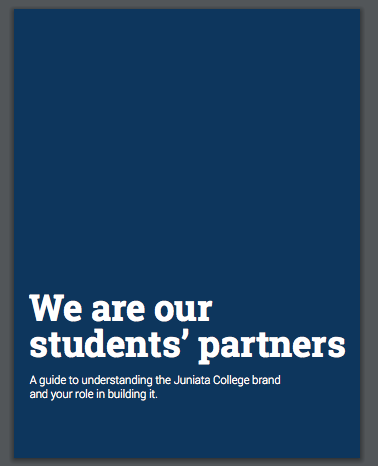 Juniata College | Cognitive Marketing Inc. Fix the brand. Give this distinctive college a distinctive story to tell, and help the College to tell it well. Raise the College in the estimation of prospective students so they will make the trip over the mountains to check it out. Execute a digital marketing plan in lockstep with the activities of the Admissions team. In “voicing” the brand, keep faith with the College’s engaged and loyal alumni community. To increase the College’s share of a shrinking market of college-bound students which, given its small size, remote location, and hard-to-pronounce name, is a challenge indeed. 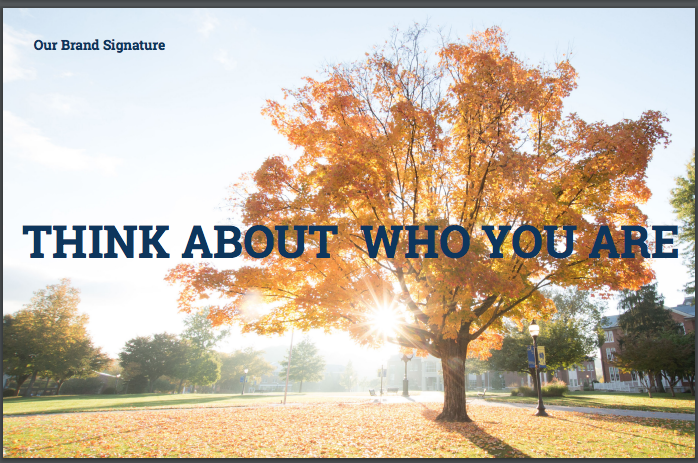 There is a reason Juniata College has always been listed among the “40 Colleges that Change Lives.” Juniata is a community of people whose personal journeys of of self-discovery led them to this most personal of colleges. These were the students of their high schools who had no interest in following their classmates to Penn State, and who were attracted to Juniata’s warm and welcoming community, a place where everyone is writing their own story as part of the collective Juniata College narrative. A new college logo that establishes a strong sense of place. Juniata is a wonderful place to go to college. Juniata students are fun, smart, and focused. Juniata students design their own educations. Juniata is a strong and supportive community. We promise to be our students’ partners as they magnify their interests and talents, learn to navigate the global community, and design lives of meaning and happiness. These tools provided a framework upon which to build a robust collection of content that serves as the basis of a multi-channel media campaign in support of student recruitment.